Mumbai alone generates 8,000 tonnes of waste every day, of which 4-5% is plastic. Mass scale conversion of waste to fuel could be an ideal solution to the challenge of effective waste management. 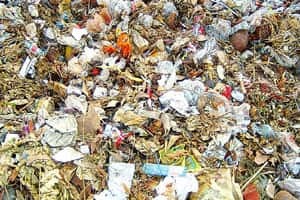 Bangalore: A Mumbai start-up may have well discovered a way to convert plastic, organic and electronic waste into petroleum without the usual harmful residue, and, emboldened by encouraging results from tests in the Netherlands, West Asia, and Malaysia, is now setting up plants that can process 25 tonnes of plastic a day in Austria, Italy, Germany, and the Netherlands. Such plants, which cost $2-3 million (Rs7.88-11.82 crore) each, can produce up to 25,000 litres of petroleum a day, at an operating cost of Rs12 a litre (excluding cost of raw materials). Plastic-to-petrol technologies aren’t new, but most of them have proved commercially unviable for a variety of reasons including poor quality of fuel produced or the ability to process only particular kinds of plastic waste. The Mumbai company Sustainable Technologies and Environmental Projects Ltd (STEPS) claims the fuel obtained through its technology meets standards prescribed by ASTM International, a body that sets standards that are widely accepted and used across various industries. And at least two experts think the technology can work on a large scale. “The wonderful thing about STEPS technology is that its outcome is so positive; its application can be world changing," said Jerry Llewellyn, president of Amera Consulting Group in Texas, who is visiting Mumbai to evaluate STEPS technology “so that it can be taken to the global market rapidly". “Competing systems from Alphakat (Buttenheim, Germany), Ozmotech (Victoria, Australia) and Plas2Fuel (Washington, US) exist, but they have limitations of emissions, selective plastic input as well as high capital cost due to low processing efficiency," said James Vance, project manager at IC2 Institute at the University of Texas. IC2 evaluated the “marketability" of STEPS, which won, in July 2007, an award from the India Innovation Growth Program, a joint initiative of Lockheed Martin, industry lobby Ficci and IC2 to commercialize innovative technologies fromIndia. One area where most of the plastic-to-fuel technologies fail is the quality of fuel produced. All such technologies use a catalyst, typically metallic oxides or aluminium silicate compounds, to convert the plastic to fuel. However, the fuel produced has a high trace of catalyst, almost 2-5% according to T.R. Rao, founder and director, STEPS. “That leaves you with 500kg of catalyst in a 25 tonne-a-day plant," said Rao. He added that this high volume of residue created was one reason why most plastic conversion plants do not get environmental clearances. After all, the residue has to be disposed. The STEPS technology uses a proprietary catalyst that converts plastic into a mix of liquid fuel (85% of the output), liquefied petroleum gas (around 15% of the output), and coke (5%). The fuel can be used in furnaces, generator sets having mixed fuel combustion options or further refined to obtain petrol, kerosene, diesel and light diesel oil. And the LPG generated from the process is sufficient to power the conversion plant. “Our process leaves no catalyst in the residue, which is anyway free carbon that can be compressed into pellets and used as fuel in furnaces," said Rao. A plant with capacity of 25 tonnes a day using this technology would typically produce residue of about 1 tonne of free flowing carbon power, he added. There have been previous attempts in India to develop processes for waste plastic conversion, but none has reached a stage where it can be used commercially. Alka Zadgaonkar, head of applied chemistry at G.H. Raisoni College of Engineering in Nagpur, developed a similar process and formed Unique Waste Plastics Management and Research Co. in 2005. Zadgaonkar has since sold its rights to Asian Electronics, an energy-efficient lighting company in Mumbai, which is now using the process to produce fuel for local power generation. Meanwhile, Zadgaonkar has developed another catalyst which can convert the ‘heavy bottom’ from crude oil refineries—a hazardous waste which forms about 10% of the processed crude oil—into usable diesel. She has signed an agreement with the state-owned Hindustan Petroleum Corp. Ltd, under which the new catalyst will be used to treat about 7,000 tonnes of “heavy bottom" generated every day. As the world grapples with waste disposal, Rao is confident there’d be no dearth of raw materials for his plants. Though India’s Central Pollution Control Board estimates that 0.5 million tonnes (mt) of plastic waste is generated in the country, experts believe that’s an underestimation. “Mumbai alone generates 8,000 tonnes of waste every day, of which 4-5% is plastic. Extrapolating this figure for 15 large cities in the country, we can say 3-4 mt of plastic waste is generated annually," said Rao. Apart from plastic, the STEPS technology can also work on organic waste. In Malaysia, for instance, the company has a joint venture with Greenbase Sepadu Sdn Bhd, and has tested the technology on branches from which the palm fruit (used to make palm oil) has been harvested. Ali Mohammad Mamat, managing director of Greenbase, said that the joint venture would commercialize this technology before the end of the year. Closer home, the STEPS technology may be one way to efficiently handle the mounting e-waste in the country.